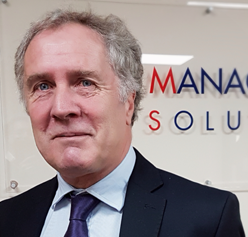 John is an experienced insurance professional and Chartered Insurance Risk Manager and Broker with over 44 years’ experience in the industry. He started as a clerk with Eagle Star Insurance before moving to Underwriting and rising to senior Fire, Accident and Liability underwriter. In 1986 John moved into the world of broking and became Managing Director of that business in 1990, managing and owning the business until it was sold to a major broker in 2005. Disillusioned by the way the Insurance Industry was going, with more and more policies boxed up and sold, and less advice and consultancy given, John formed a new Company in 2009 with one other experienced director with the sole aim of bringing traditional ideals and thinking to the market, and a more hands on approach to customer support and advice. Away from work he has always been a keen sportsman, although more as a spectator of late, and has for many years coached in Mini and junior rugby.